Posted by Sam Smith on Friday, March 1st, 2013 at 4:41pm. 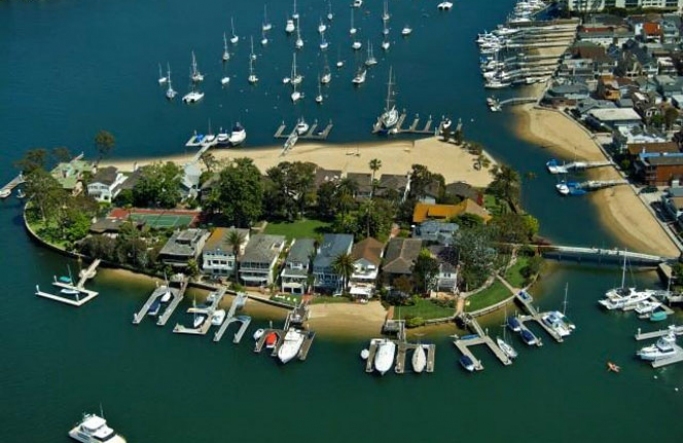 Bay Island is one of the smallest islands in the Newport Harbor and home to 23 luxury bay front homes as pictured below. Homes rarely come on the market in this community due to the low number of homes on the island. Currently there are four homes up for sale with the highest listing at $21.9 Million dollars. A new Bay Island home has come on the market this week with a price tag of $6,695,000. The home was built in 1930 and has recently been restored and modernized in 2004 while still keeping the original charm and character of the home. The home features beautiful hardwood flooring with white paneled walls with all the modern amenities you would expect for a luxury property in Newport Beach. The home features four bedrooms, four and a half baths with 3,504 square feet of living space. The home is being offered with a private pier and 3 boat slips which one can accommodate at boat up to 65 feet. Bay Island is one of the true historic neighborhoods in Newport Beach and owning a home here gives you a special connection to the past. The community features a commonly owned tennis court, caretaker's cottage, mature formal gardens and wide private beach. For more information on Bay Island homes for sale please contact us at 949-444-1901 today.